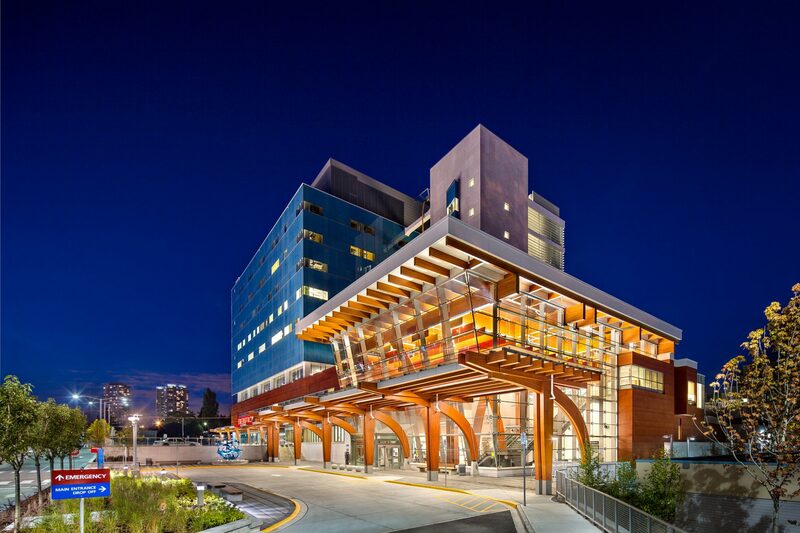 Surrey Memorial Hospital is BC’s 2nd largest hospital and supports the second highest number of births in the province. The North Tower expansion included the Neonatal Intensive Care Unit (NICU) which offers specialized care for very young infants and their families. One of the unique features of the NICU facility is its unique lighting system. The ambient lighting control was system designed to provide an automated diurnal (day – night) light cycle. This cycle helps the infant to establish a biological rhythm that makes the transition to home life much easier. All 48 beds follow the same cycle yet have the ability to be independently controlled within each room and return to the cycle when selected by the user. Prior to installation of this system, newborns may spend months in the NICU under constant light thus making it difficult for them to adapt to home life which is based on a day/night cycle.